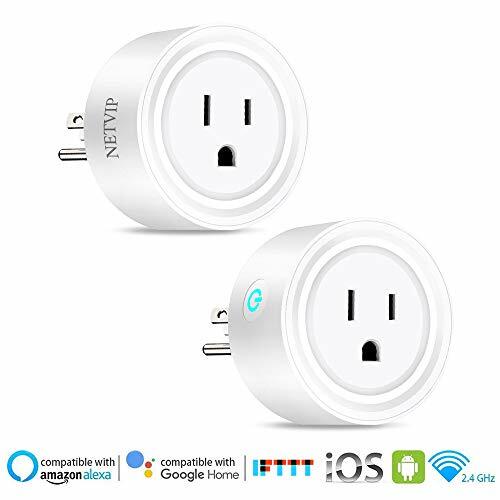 Ether’s Smart Wi-Fi Plug Mini is a smart plug that you can use to remotely control your home electronic devices, or voice commands through Alexa or Google Assistant via Nether Home mobile app on your iOS or Android devices from anywhere. With the compact housing design, it’s considerably smaller than other smart plugs. With a thickness of just 1. 5 inches, the smart plug blends into your outlet without blocking adjacent power sockets. It allows you to turn connected devices on and off, and to set schedules or auto-off timer routine around your daily needs. Turn on or turn off connected devices wherever you are at any time through any Internet connection. The Nether SMART Wi-Fi Outlet stays connected to your home network, so you can access your devices as needed on your smartphone. The Outlet allows you to create customized schedules for your appliances so that they run on your schedule. You’ll find that automating your devices will help streamline your daily routine for a more efficient household. Product Features. Remote Control via Nether Home App. . Scheduling & Auto Off. . Customized Scenes. Voice Control: Alexa & Google Assistant. . 15A Maximum Load. . Connect to Wi-Fi Router. No Hub is Required. . Compatible with Android 4. 1 and Higher or iOS 9 and Higher. Support Sunrise and Sunset Function Note The Smart Wi-Fi Plug Mini supports 2. 4GHz networks, exclusively. Proximity to trusted Wi-Fi network may be required during the initial setup process. VOICE CONTROL: Compatible with Alexa and Google Assistant, you can control your mini smart plugs hands free. 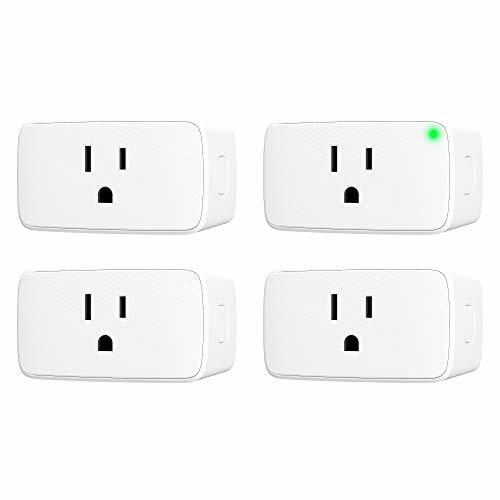 If you name the plugged-in device kitchen light, you’ll be able to say “Alexa, turn on the kitchen light. ” And, the device will be turned on. CONTROL FROM ANYWHERE: You can turn devices on/off on your smart phone at anytime and anywhere with the Nether Home APP (Android 4. 1 and Higher or iOS 9 and Higher). Ideal for hard-to-reach appliances, or when you’re away from home. 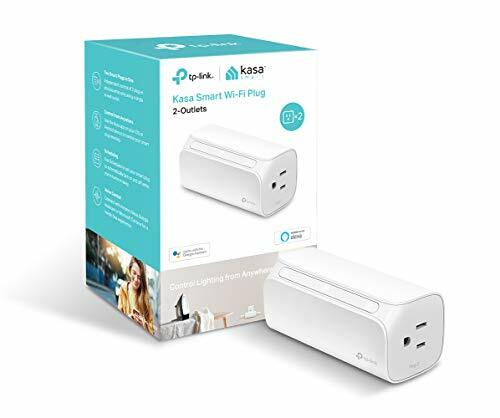 SCHEDULING & AUTO OFF: WP110 Smart Wi-Fi Plug Mini enables you to set automatic daily timers or create on/off schedules. Sunrise and sunset function supported. OCCUPIES ONLY ONE SOCKET: It can fit two plugs in one outlet, more convenient and space efficient. 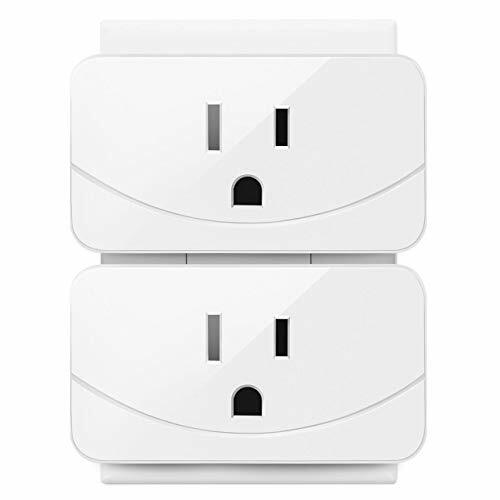 Most of the round smart plugs can only fit one plug and another regular appliance plug. 15A maximum load. ETL and FCC certified. We offer 2-year and lifetime customer support. If you have any question or encounter any problem, please feel free to let us know. NOTE: The google smart plugs supports 2. 4GHz networks, exclusively.